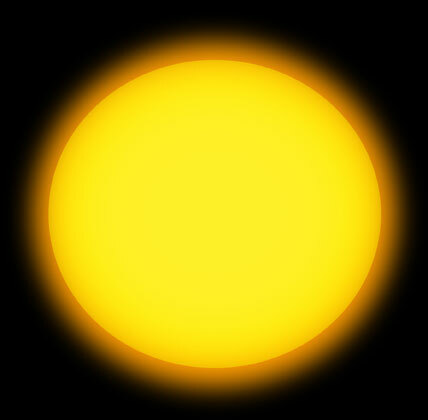 image: David Haines Study for Hydrogen Alpha Series, 2007, digital image. Stormy weather. Sultry conditions. A blindingly bright sun. From art and literature to popular culture, the weather has painted the background, been a signal of the emotional climate or a portent of unsettling action to come. Meanwhile in the everyday, the weather has also been background noise -- the stuff of banal exchange -- smoothing contact between strangers, friends and others. But no more. Now, in a time of changing weather and global warming, it is our relationship with the weather that has become stormy and disturbed. It is the weather itself that is the subject of our emotions. The moment that we are now living in is full with not just global warming but its reverberations through every level of culture. Something has changed. Powerful elemental forces only recently thought to be knowable through our scientific and technological prowess seem now to be unpredictable and unleashed. Of course, it’s not that the weather hasn’t been trouble before. But now the trouble is that we don’t quite know what to make of it, and it feels urgent. The media, meteorologists, politicians, environmentalists are vying to shape our understanding and emotional responses to what we perceive and know. The uneasy relationship between technology, nature and culture is unsettled once more. Are we 'inside' nature or are we 'outside' it? Prey to nature's forces or affecting and controlling it? The very question of control is upset and upsetting. The Trouble with the Weather: a southern response brings together artists from the South Pacific, Australia and South America, working across media, to respond to global warming. Using humour and the absurd, displays of excess, sensual environments, intense imagination, and personal and emotional responses, the artists offer us new ways to engage with this politically overloaded and emotionally charged subject.